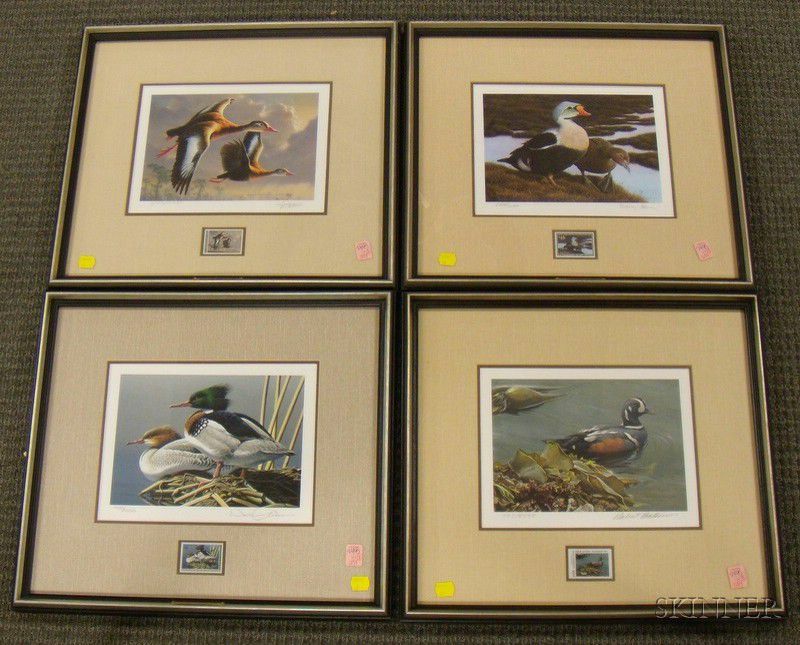 Three Framed Federal and One Washington State Duck Stamp Prints with Stamps, 1990 Jim Hautman, Black-bellied Whistling Duck, 6435/14500; 1991 Nancy Howe, King Eider, 6435/10350; 1994 Neal R. Anderson, Red-breasted Mergansers, 6435/29000; and 1988 Robert Bateman, Bull Kelp, 1123/4595, all signed and numbered, Wild Wings Collection labels on reverse, approx. 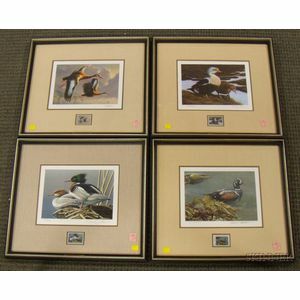 sight size 7 3/4 x 10 in. Three Paint Decorated Wooden Bellows.